Cultural heritage communities of interest have increasingly expanded from cultural heritage professionals to volunteers, special interest groups and independent citizen-led initiative groups. Digital technology has also increasingly impacted cultural heritage by affording novel experiences of it – it features in a number of activities for all the aforementioned groups, as well as acting as support for visitors to cultural heritage centres. With different degrees of formality and training, these communities are increasingly defining and taking ownership of what is of value to them, thus reconfiguring the care, communication, interpretation and validation of heritage. Digital technology has played a crucial role in this transformative process. In a fully international context, cultural heritage practitioners, community champions and academics from different fields of study have contributed to this book. 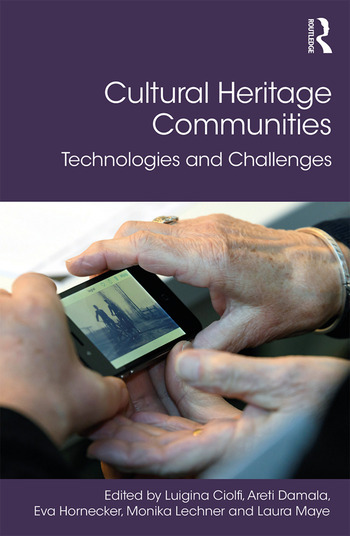 Each chapter brings to the fore the multiple relationships between heritage, communities and technologies as a focus of study and reflection in an inclusive way. Contributions touch upon present and future opportunities for technology, as well as participatory design processes with different stakeholders. This book brings together ideas from different disciplines, cultures, methods and goals, to inspire scholars and practitioners involved in community heritage projects. Luigina Ciolfi is Professor of Human-Centred Computing at The Cultural, Communication and Computing Research Institute (C3RI), Sheffield Hallam University, UK. Areti Damala is an Adjunct Lecturer in Digital Humanities and Augmented Heritage at the Université Paris 8, Vincennes - Saint-Denis, France, and a Honorary Research Fellow at the University of Strathclyde, UK. Eva Hornecker is a Professor of Human–Computer Interaction in the Faculty of Media at the Bauhaus-Universität Weimar, Germany. Monika Lechner is an advisor on Digital Heritage for foundations such as Dutch Digital Heritage and (currently) Erfgoed Brabant, the Netherlands. Laura Maye is a Postdoctoral Researcher based in the Department of Computer Science, Aalto University, Espoo, Finland.